No hangers needed... just splash them across any surface that needs dressing up! Every Pattern includes binding instructions and are formatted to use with any personal cutting machine! Now available now at quilt shops everywhere! Here is the entire Monthly Mini's 9 series all in one eye-pleasing image. Available at quilt shops across the U.S.A. - Check out our table below to find a shop near you! Can't find a participating shop in your area? Do you LOVE the Look of our Samples? 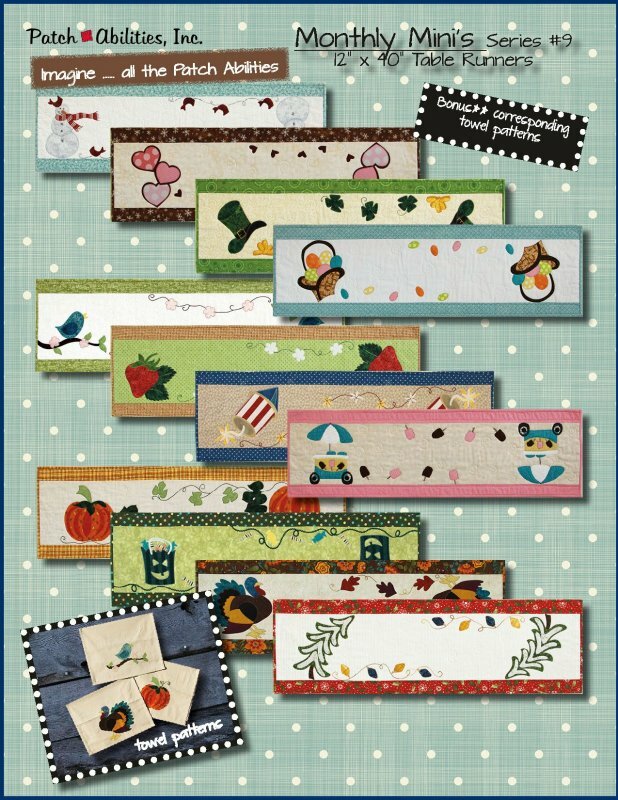 The ENTIRE SERIES including the fabric kits can be mailed to your door step each month! Contact Merry's Stitchins (bold blue letters on the shop list) to order. Find a Shop that has 'em!